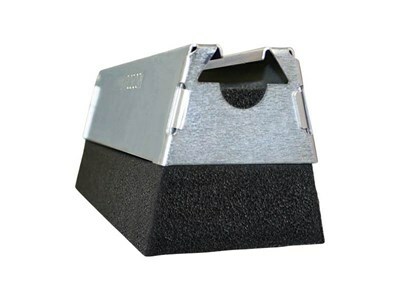 CADDY PYRAMID 50, 50 lb WL, 4 Inch high, EG - Each. Our line of Erico Electrical and Datacomm Fasteners are perfect for those big contractors running thousands of feet of cable. Or someone just doing a few home improvements. Whoever you are, Erico Electrical and Datacomm Fasteners are the right choice for you. CADDY PYRAMID 50 Pipe&Equipment Support from ERICO provides an easy method for supporting up to 50 lb loads of pipe, conduit and equipment. CADDY PYRAMID dramatically reduces installation time by replacing other labor-intensive support methods such as wood blocks, straps and clips. Supports equipment or multiple runs of pipe and conduit and provides for numerous mounting options and clamping positions.